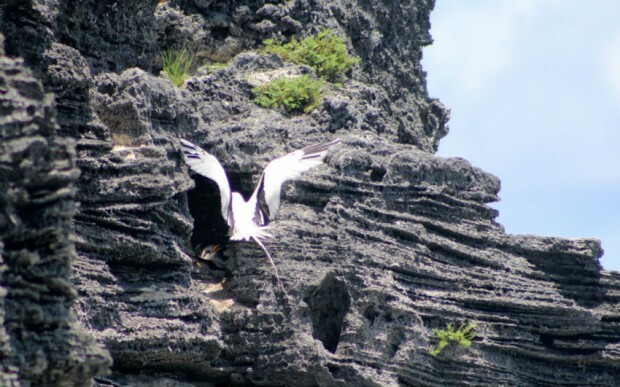 A local photographer recently captured images of longtails nesting in Bermuda’s cliffs, with the graceful birds spotted at Horseshoe Bay. The Department said they have long recognized that this predator has always taken small numbers of Longtail eggs, usually from more open nests. However in 2009 the Department noticed a worrisome change in behaviour when over 50 Longtail egg remains were found on the Castle Point property at the end of the Tucker’s Town peninsula. After an investigation, if was found that all these eggs had been taken by one small group of 4 crows. Further to this a group of crows were observed a number of times with downy Longtail chicks in their beaks, which were then killed and eaten. Consequently, efforts were undertaken to reduce this problem by Pest Control Officers, who were able to remove 3 of these crows. 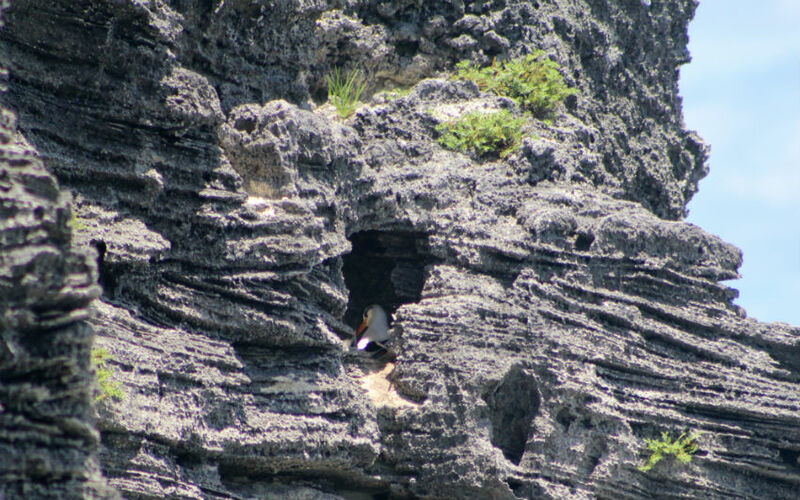 “At this time the problem is location-specific due to the relatively narrow concentrations of Longtails in specific nesting areas and because Crows are territorial,” explained Director of Conservation Services Drew Pettit. Lots of crows on all the beaches these days. There seems to be way too many crows on Island. Back in the day, an American marksman was brought in to shoot some of these very intelligent, destructive & noisey birds. We do not need crows here…. they have no preditors..